When it comes to children with rare diseases, parents and siblings aren’t to be forgotten. Not only are they the ones who get to spend most of the time with the affected kids, they also suffer from the situation in a tremendous way. Most siblings need to be considerate and therefore cut back on their own needs and wishes, worrying about and feeling responsible for the affected other. Parents, though, carry the heaviest load on their shoulders, they need to cope with their worries and everyday life as well as care about both their sick children and their healthy siblings. These are the reasons why Kindness for Kids has implemented assisted vacations for the entire family into their social project work. The goals are fun and joy for the affected children and their siblings, recreation for the parents, the exchange with other affected families as well as gaining power and energy for an otherwise exhausting and difficult everyday life. 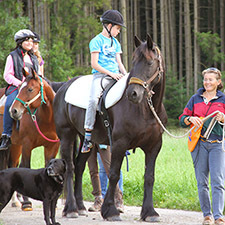 Twice to three times a year, Kindness for Kids organizes assisted vacations for three to four affected families on the Irmengard-Farm at Lake Chiemsee. Three to four affected families get to spend one week on the farm of the Bracker Family near Aukrug in Neumünster (Schleswig-Holstein). 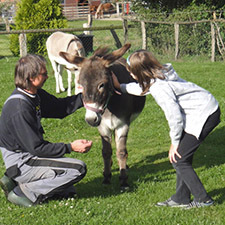 The farm offers a lot of different activities for young and old making it an unforgettable experience. 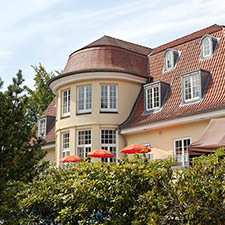 Eight to ten severely affected children get to spend one entire week with their families on the Kupferhof near Hamburg.